Should you tip your tradesperson? …and if you’re paying for the service anyway, should you really be expected to give more? A recent survey from Heat Insulation Ltd asked the public their views on tipping tradespeople and as it turns out, 51 per cent of respondents admitted to regular tipping! 3. Good work should be expected and not rewarded. Yet even if you did decide to offer a tip, how much would you give? There are no hard and fast rules or tipping reference guide. As for suggested percentage, well, who knows? A survey done with American homeowners revealed that when tradespeople do get a tip, cash is the most-common gratuity offered (although us Brits often like to tip in cups of tea), and most often the tip is less than 20 percent of the total job cost. Most contractors in the survey said that they charge their clients what they feel is fair price for the work being done and don’t expect a tip. https://www.aacooperplumbingandheating.co.uk/wp-content/uploads/2016/06/aaLogo2.jpg 0 0 AA Cooper https://www.aacooperplumbingandheating.co.uk/wp-content/uploads/2016/06/aaLogo2.jpg AA Cooper2019-03-25 11:57:132019-03-26 20:01:51Should you tip your tradesperson? What would it take for you to replace your boiler? Does your heating system need to be in the (proverbial) skip before you’re likely to even hazard thinking about a new one? In fact – yes! This is likely the truth. The latest Public Attitude Tracker (PAT) from the Department for Business, Energy & Industrial Strategy, focusing on energy issues, revealed that 66 per cent of the public would only replace their heating system when their current one breaks down or starts to deteriorate. Only 12 per cent of respondents would consider replacing their heating system while it was still working. The PAT also found that the top reasons people are most likely to change their heating system is to save bills (43 per cent) or to switch to a more environmentally friendly heating system (33 per cent). Nearly a fifth of respondents (18per cent) paid significant attention to the amount of heat used in their home in December 2018, with the main reasons being minimising bills. So, do we deserve a right ol’ telling off for being lackadaisical about our boilers? Well…is anyone really likely to replace an entire system that is in good working order? Not likely. And why should they? That said; it seems risky to only replace a system once it’s already broken. And at the crux of the issue; how would the layman know that his system is faulty anyway – unless told by a professional heating engineer? As it turns out, PAT statistics showed genuine trust in advice from heating installers with 79 per cent of respondents citing heating engineers/installers as the most helpful source of information when choosing a new heating system, alongside family and friends. The moral of the story: find a heating engineer that you can trust and listen to him when he advises repairs or even an entire system overhaul. https://www.aacooperplumbingandheating.co.uk/wp-content/uploads/2016/06/aaLogo2.jpg 0 0 AA Cooper https://www.aacooperplumbingandheating.co.uk/wp-content/uploads/2016/06/aaLogo2.jpg AA Cooper2019-02-25 21:58:252019-02-25 21:58:26What would it take for you to replace your boiler? Top 10 energy companies for 2019 – Which? reveals all! Consumer champion Which? has revealed the results of its annual satisfaction survey, and small gas and electricity firms have trumped the Big Six! After surveying 8,000 energy customers, 30 companies (covering more than 90 per cent of that market in England, Scotland and Wales) have been ranking according to customer satisfaction. The Big Six (British Gas, EDF Energy, Eon, Npower, Scottish Power and SSE) all sit in the bottom third of the table whilst smaller, newer suppliers occupy both the top and bottom positions, showing that a company’s size is no guarantee of its performance. Five small suppliers topped the rankings, with only tiny margins separating the top five companies: first-placed Octopus Energy, Robin Hood Energy and So Energy in joint second place, and Ebico and Tonik Energy in joint fourth position. All of these firms were rated the full five stars for value for money. Plus among them are the only firms to get top marks for bill accuracy, bill clarity and online customer service. Octopus, which supplies more than 400,000 homes, was rated as good or excellent value for money by nine in 10 customers and 96 per cent of its customers gave it the same rating for online customer service. So Energy was rated good or excellent value for money by an impressive 93 per cent of its customers – the highest proportion of any firm included. Plus its customers were most likely to rate the accuracy of its bills good or excellent compared with any other firm included. Two of the top five – Robin Hood Energy and Ebico – are not-for-profit, while So Energy and Tonik Energy sell only tariffs backed by 100 per cent renewable electricity. The Big Six ranked as follows: SSE(22), EDF/Eon(23), British Gas(26), Npower/Scottish Power(27). Which? found less than one in five (18 per cent) Big Six customers are very satisfied with their supplier, compared with a third (33 per cent) of customers with medium and small suppliers. https://www.aacooperplumbingandheating.co.uk/wp-content/uploads/2016/06/aaLogo2.jpg 0 0 AA Cooper https://www.aacooperplumbingandheating.co.uk/wp-content/uploads/2016/06/aaLogo2.jpg AA Cooper2019-01-25 22:58:522019-01-28 23:05:03Top 10 energy companies for 2019 – Which? reveals all! Who likes it warmer inside – men or women? Who does the dishes, takes out the rubbish or hoovers under the table after the kids have had couscous for dinner? One could easily assume that these are the types of spousal arguments that might top a ‘most frequent’ list. But, no. New research identifies ‘the ideal home temperature’ as the hot debate most likely to aggravate the gender divide in families. The right time to turn on the heating is another heated conversation that happens in homes around the UK. According to research sponsored by Corgi HomePlan, one in three couples admit to regular rows over the ideal house temperature. The study reveals that men set the thermostat too low, and women simply turn it up again (in secret, with great stealth). Now, men, before you get right on in there and turn that thermostat back down; science suggests that the reason women are turning the heat up, is because they genuinely are more sensitive to the cold. A 2015 study by Dutch scientists revealed that women are comfortable at a temperature 2.5C warmer than men, typically between 24-25C. The average house has the heating set to 20C (according to Corgi HomePlan) which is a rather hefty 4.5C cooler than a woman’s ideal temperature. Perhaps it’s time for a compromise? – In light of the fact that 37 per cent of British households leave the heating on between four and six hours a day (so sayeth the research)…maybe less in August! https://www.aacooperplumbingandheating.co.uk/wp-content/uploads/2016/06/aaLogo2.jpg 0 0 AA Cooper https://www.aacooperplumbingandheating.co.uk/wp-content/uploads/2016/06/aaLogo2.jpg AA Cooper2018-12-27 11:07:082018-12-30 13:14:06Who likes it warmer inside – men or women? Great Britain has reduced its carbon production faster than any other industrialised nation (woop!) and the UK’s emissions are below the goal (instituted by the Climate Change Act) for carbon budget 2, and 40 per cent below the 1990 levels. This is great but there is still loads more work required in order to reach the long-term goal of continuing to decrease emissions of the 6 greenhouse gas emissions regulated by the Kyoto accords, to 80 per cent of 1990 levels. Currently, fifty per cent of carbon dioxide (CO2) emissions in the UK come from domestic heating and cooking, and from transport. That’s a lot, and is also why the Energy and Utilities Alliance (EUA) is urging the government to work collaboratively with industry (those in the know) to green Great Britain by greening the gas grid – according to a recent report by HPM Magazine. “Numerous studies have shown that switching to electricity is a more expensive option for the UK and it will struggle to meet demand in a cold snap. Use Compact Fluorescent Light (FFL) bulbs – saves 66 per cent energy. Unplug your TV when it’s not in use (and any other device, for that matter). Open your blinds/curtains to let the sun warm your house during the day – saves 10 per cent energy. Use rugs on wooden floors – saves 4-6 per cent energy. Turn down your thermostat by 1degree Celsius – saves up to £60/year. Use your microwave– 50 per cent less energy is used by a microwave than conventional oven. Energy-efficient cookware (glass, silicone, ceramic) can reduce cooking temperatures (and thus energy use). Keep the oven closed when in use – opening the door causes the temperature to dropp, requiring more energy to heat up. Smart dishwashing – don’t pre-rinse, run a full load and air-dry dishes. Improve the air quality in your house with indoor plants. Don’t leave the water running whilst brushing your teeth. Turn taps off properly – 182 litres of water is lost per week from leaking taps. Use the shower more often than the bath – showers can use as little as 14 per cent of the water used during a bath. Wash clothes at 30 degrees Celsius – this uses around 40 per cent less electricity than washing at higher temperatures. Hang-dry your clothes instead of using a dryer – 2-3kg of carbon emissions are produced for every hour a dryer is used. Install a low-flow shower head – this can save a family of four 160,000 litres of water/year. Compost kitchen scraps – reduces the amount of household waste in landfills. Insulate your windows – this will keep you cool in summer and warm in winter. For more handy ways to ‘eco-friendly’ your house, read “50 Cost-Efficient Ways To Make Your Home More Eco-Friendly” and for all your energy-related needs, contact the team at AACooper on 01689 485007 or info@aacooper.co.uk. Baby Wipes – it’s so tempting to just flush a baby wipe (especially when potty training!) but don’t do it! They stick together and clog up drains in no time. Hair – this is a tough one because hair easily travels down the plughole when bathing or showering. Usually it can be pulled back up the plughole if you notice a blockage…but not always! To try and prevent hair clumps in your drain, brush your hair before your bath/shower or invest in a ‘hair catcher,’ which could save you time, money and effort. Fat – we all remember “fatberg,” right? That 15-tonne brick of fat found in the sewer below London. Well…enough said; don’t let fat float down the plughole. Toys – there’s something about a plughole that is irresistible to children; they simply can’t resist sending gidgets and gadgets sailing down (clearly ‘IT’ is a thing of generations past). Even if little ones don’t it on purpose, the chances of a broken bath toy or other random paraphernalia taking an unplanned trip down the plughole are pretty high. Coffee – If you use ground coffee rather than instant, make sure you get all of your grounds into the bin using a spoon or kitchen roll to help because over time coffee grounds can build up in drains, especially in the corners of piping. Food Scraps – the odd piece of pasta here and there can do more damage than you might think. The thing about a lot of our foods is that they’re quite porous – especially carbs, like pasta and rice. They will soak up a lot of water and can easily expand to clog a drainage pipe. Cotton Buds – Are meant for bins, not drains. It’s as simple as that. Usually a clogged drain is an accumulation of all of the above…things that have slipped down unintentionally. If you’re concerned about a blocked drain in your bathtub or damaged radiator pipes, call your local plumber; he/she may suggest a drainage contractor if the problem is serious, in which case, ask for references to ensure you hire the perfect person for the job. For all your plumbing needs, contact the team at AACooper on 01689 485007 or info@aacooper.co.uk. Where’s everyone getting their plumbing products these days? You’re refurbishing your bathroom…or perhaps just fixing something after years of wear and tear – do you roll on down to your local high street for some spanking new fixtures and furniture? Not likely. These days, point of call for all things plumbing is the internet – but this is no surprise, right? From the comfort of your couch you can shop around for the perfect product at the perfect price. And there are stats to prove it: according to new research from AMA Research, online sales of plumbing products in the UK is set to increase by 43 per cent by the year 2022. In 2017 alone, the UK internet plumbing market is estimated to have increased by 17 per cent in value terms. The company found that the internet is the fastest growing channel of the overall UK plumbing and heating products market and has experienced strong growth levels in the last 5-7 years. Shower controls and bathroom taps represent the largest sector of the internet plumbing market with a share of around 23 per cent, followed by bathroom furniture and accessories, baths and sanitary ware, heating products such as boilers and standard radiators and shower enclosures, screens, trays and wetroom products. Towel warmers and decorative radiators account for a much smaller share of the total market. Own-label products sold on the internet are also performing particularly well. A clear indication of the power of online shopping is the rate at which High Street stores are closing these days. In the pluming industry in particular, not only is the range of products growing but technology is improving and advancing – making the internet market more competitive. And of course, the convenience of delivery/collection options – it’s an obvious selling point. The good news is that the stronger the demand for plumbing products online, the better the prices as retailers compete for market share – as good an incentive as any to keep shopping! https://www.aacooperplumbingandheating.co.uk/wp-content/uploads/2016/06/aaLogo2.jpg 0 0 AA Cooper https://www.aacooperplumbingandheating.co.uk/wp-content/uploads/2016/06/aaLogo2.jpg AA Cooper2018-08-25 10:30:382018-10-25 21:38:03Where’s everyone getting their plumbing products these days? Shut windows and pull down the blinds/close the curtains first thing in the morning before it starts to get hotter outside. Open them for ventilation when it is getting cooler during the evening but only if the temperature outside is cooler than inside. Turn off electronics. Computers, TVs and other electronics generate heat when sitting idle or even when turned off , so unplug devices at the wall when not in use. Don’t run appliances (like dishwashers or washing machines) during the day; save these activities for the night. Turn a hot water bottle into an ice pack by filling it with water and putting it in the freezer. Cotton and linen sheets are breathable so cooler to sleep on/in. Turn the lights off – light bulbs (even if they’re environmentally friendly) give off heat, so switch them off (who needs ‘em in summer anyway, when the days are lovely and long). Hanging a wet sheet in front of an open window will help bring down the room’s temperature. Have shade in your garden; in the form of trees and shrubs or perhaps a shady swing, garden umbrella or porch cover. If you’re having a shower to rid yourself of sticky, sweat-soaked skin; keep it on cool because steam hangs about and makes a room hotter. Fans use much less energy than AC – just remember to turn the fan off when you exit the room, as its effect is pointless if you’re not there to feel it. According to new research by consumer association Which?, 75 per cent of home owners trust central heating engineers. This is great news! Especially considering the fact that the survey revealed that four in 10 (38 per cent) of respondents do not trust builders and roofers when employing them for the first time, making these trades the least trusted for domestic building work and repairs. The rankings from the Which? Trusted Traders survey revealed that Electricians are the most trusted of the traders, clocking 80 per cent of the vote, with central heating engineers a close second (75 per cent), followed by plumbers (73 per cent). When asked about their biggest worries when hiring a tradesperson, home owners listed their top concern as the tradesperson not turning up at the agreed time, which was cited by 62 per cent of respondents. Poor workmanship was cited as a foremost concern by 55 per cent of home owners and 46 per cent voiced concern about being ripped off. 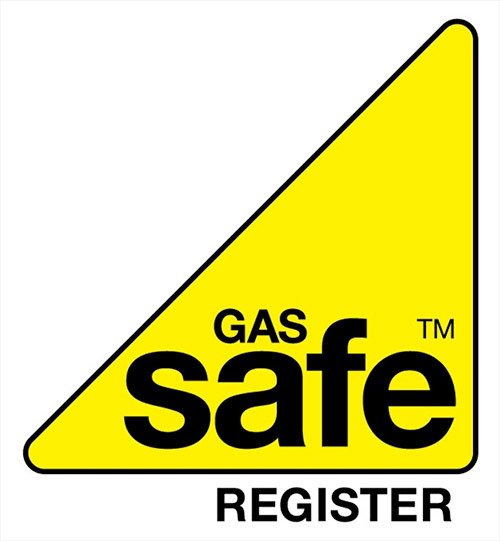 Check that the heating engineer is listed in the Gas Safe Register and also check what type of gas-related work he/she are qualified to undertake before hiring. Get at least three quotes – heating engineers should be able to tell you about the price for a call-out. Be aware though, that additional costs depend on the nature of the problem and any parts required. You might also be charged for travel and parking costs. Good central heating engineers will usually want to see your system before they give you a quote for anything other than a simple job. The best boiler engineers explain what they’ll check, repair or install before they start working and show you what they’ve done afterwards. And one final tip: keep the paperwork your boiler engineer gives you – you might need this in the event of any future problems, plus most boilers will have a warranty of at least 12 months.